NCS offers our customers a Record of Account (ROA), which combines a loan applicant's tax transcripts along with their account transcript. The account transcript will include any activity between the date the original tax return was filed and the date the ROA was ordered. This provides a huge benefit to gathering an accurate understanding of your borrower's income and behavior. The ROA references these activities with "transaction codes." The main codes used indicate a delinquent tax investigation, failure to pay tax penalty, bad check penalties, Federal tax liens, or a penalty for negligence, which includes substantial understatement of income tax, substantial valuation misstatement, or substantial overstatement of pension liabilities. Other codes indicate that a notification was sent that the taxpayer's refund will be reduced or eliminated due to owing back child support to a state, to pay an education loan, or pay any debts owed by the taxpayer to any Federal agency or military. 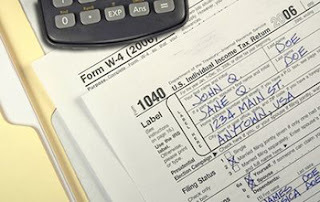 There are also codes indicating IRS litigation has started with the taxpayer or that the taxpayer is deceased. "Based on IRS statistics for all tax returns filed in a recent tax year, these codes will be cited in more than 25% of the Record of Account reports," said NCS Director, Research & Development Joe Poppler. "One trend that has been reported by lenders is where borrowers have strategically filed false tax returns, either the original or amended return," said Poppler. "Lenders have been advised to look for a pattern of filing an initial return followed by an amended return. The Record of Account will indicate if an amended return was filed for that specific tax return." These products are also available from NCS as part of bundled services, which can be customized for each customer. Other services such as merged credit reports, cash flow analysis, verification of employment (VOE), as well as property valuations and escrow services can also be bundled with TRV Services to provide a complete, tailored package. To get more information on ROA and other Verification Services, contact us or call 800-582-7066.